Is it possible? I'd like to plug it in to my computer/mac and use it to also create tracks like a regular midi controller would do. I'd also like to assign each key to different samples, for example a set of drum kit sounds. Last edited by lgexz on 31 Jul 2012, 12:28, edited 2 times in total. You'll need a midi interface of some sort. The NE3 dosn't send midi via USB. You'll also need some (sampler) software. But if you have all that, then yes - no problem. Last edited by reneshelle on 31 Jul 2012, 12:28, edited 2 times in total. Of course, ne3 as a midi control is secondary to my needs since I will be using the ne3 for live performances. Yes I do know there are way cheaper midi controllers out there, it's just the fact that I don't want to buy a midi controller when there is a possibilty of utilizing the ne3 for another purpose. lgexz wrote: Of course, ne3 as a midi control is secondary to my needs since I will be using the ne3 for live performances. Yes I do know there are way cheaper midi controllers out there, it's just the fact that I don't want to buy a midi controller when there is a possibilty of utilizing the ne3 for another purpose. Your NE3 will work as a MIDI controller to trigger sounds in your computer. The NE3 is a bit limited in it's MIDI capabilities, but it WILL work. the lack of a pitch bender, mod wheel, aftertouch, definable continuous controllers. The NE3 wasn't intended as a MIDI master controller. However, if it's all you have. and some mapping in the receiving device. Last edited by Hanon_CTS on 31 Jul 2012, 12:28, edited 2 times in total. sweet! thanks for the link!! aside from all this, what would you recommend for the sound output coming from the ne3. I do have headphones already for home use but I'm looking to get an amp or monitor soon. for amps and the like check this thread for instance: accessories-and-amplification-f8/which-amps-do-you-folks-like-here-t36.html or accessories-and-amplification-f8/which-small-amp-for-my-nord-stage-t455.html. Definitively worth trying it out before buying! Plus it very much depends on your budget. I think it is fair to say that there is kind of an informal agreement that the QSC K8 or K10 (preferrably) are excellent choices for keyboard players, bit pricey though. Last edited by Johannes on 31 Jul 2012, 12:28, edited 2 times in total. Related question regarding NE3 as a midi controller: Is there a way to disable all the Nord's midi functions except for the keystrokes? In a typical track (in my case, in Garageband) I typically switch between the Nord as an audio source and the Nord as a midi controller for software instruments. However, I'll still have the midi cables plugged in while using it as an audio source. I've gotten frustrated with it doing strange and unintended things via MIDI while doing so, e.g. adjusting the gain knob will adjust the track volume, which is not what I want, and (wierdly) switching between upper and lower organs will toggle the solo button for that track in GB. Even while using the Nord as a MIDI controller, I don't really want it doing anything other than playing notes. Can this be done? Is it DAW-dependent? Last edited by Ian Hay on 31 Jul 2012, 12:28, edited 2 times in total. Ian Hay wrote: Related question regarding NE3 as a midi controller: Is there a way to disable all the Nord's midi functions except for the keystrokes? Yes, Chapter 8 of the manual. You can enable/disable Control Change and Program Change messages. Last edited by anotherscott on 31 Jul 2012, 12:28, edited 2 times in total. 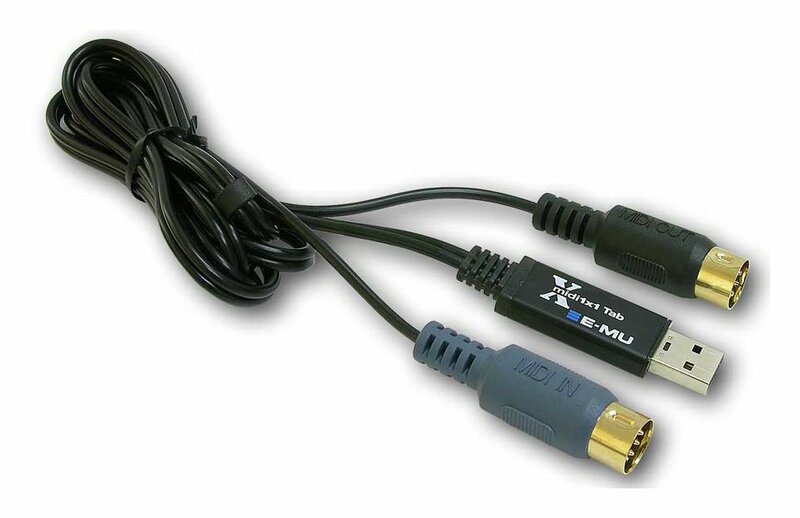 I connected my Electro 3 to my laptop (so I can use it as a MIDI controller for GarageBand) using the E-Mu MIDI-USB interface cable https://www.amazon.com/gp/product/B000JLU26W/. Thanks to Hanon_CTS for recommending it and thanks to analogika and Ev31cktech for explaining that you need to connect the MIDI IN plug to the MIDI OUT socket of the Electro. D’oh!